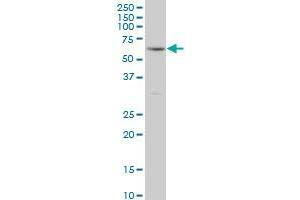 RIPK2 monoclonal antibody (M02), clone 6F7 Western Blot analysis of RIPK2 expression in HeLa . 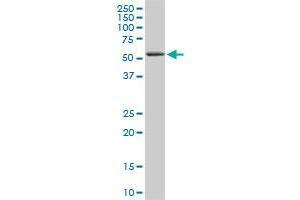 RIPK2 monoclonal antibody (M02), clone 6F7. Western Blot analysis of RIPK2 expression in NIH/3T3 . RIPK2 monoclonal antibody (M02), clone 6F7. 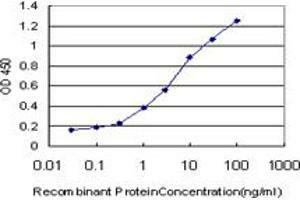 Western Blot analysis of RIPK2 expression in PC-12 . RIPK2 monoclonal antibody (M02), clone 6F7. 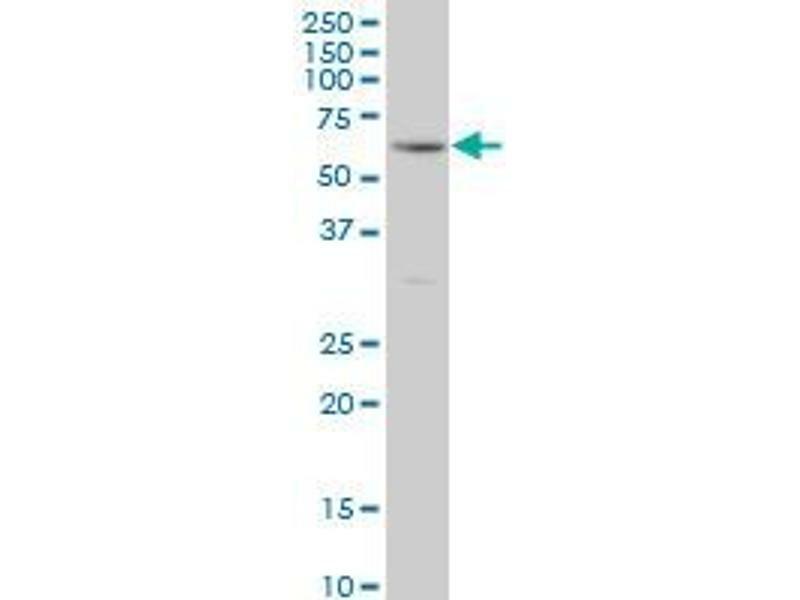 Western Blot analysis of RIPK2 expression in Raw 264.7 ( Cat # L024V1 ). 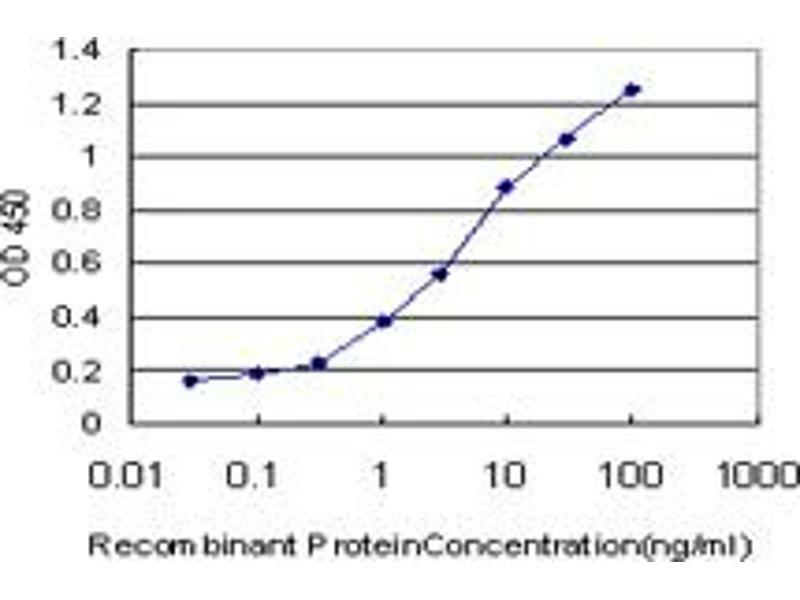 Immunogen RIPK2 (AAH04553, 431 a.a. ~ 540 a.a) partial recombinant protein with GST tag. MW of the GST tag alone is 26 KDa. Western Blot detection against Immunogen (37.84 KDa) . Western Blot analysis of RIPK2 expression in transfected 293T cell line by RIPK2 monoclonal antibody (M02), clone 6F7.Lane 1: RIPK2 transfected lysate(61.2 KDa).Lane 2: Non-transfected lysate.